Nearly 50 percent of the world’s population1 have no access to basic health services. The vast majority of this population live outside cities, in peri-urban areas2, where few hospitals exist. Geographical areas with limited to no healthcare accessibility regions are called ‘medical deserts,3 and they continue to expand as people move out of rural regions and into cities. Medical deserts can be found in both developed and developing countries alike. In the United States, approximately 30 million people live more than 30 miles from a hospital4 that provides emergency care. In Niger, more than 60 percent of the population5 (10 million people) live further than a one hour walk to a basic healthcare center. While Africa is urbanizing, approximately 63 percent6 of the total Sub-Saharan population still live in rural areas. Even France, often lauded as a prized model7 for national healthcare, has struggled with a steady decline8 in rural doctors, notably general practitioners. Both the CDC9 and the NIH10 have confirmed that a direct correlation exists between distance to hospitals and an increased risk of preventable death. In India, for example, it was estimated that 50,00011 deaths(out of 72,000) from sudden abdominal conditions in 2010 could have been averted with better medical access. Those who lived more than 100 km. from a hospital were at the highest risk. A 2016 study showed that only 1 in 8 high income countries12 had developed a national policy on hospitals in rural or remote areas. Rural healthcare facilities have historically been a poor investment and their sustainability is concerning. Even in the US, 83 rural hospitals13 have closed since 2010 with another 673 vulnerable to shut down. The problem isn’t likely to improve so long as the cost of building hospitals in rural areas remains prohibitive. Identify the world’s medical deserts and create a Global Telemedicine Vehicle Network. Build and deploy 216,000 telemedicine vehicles for the delivery of basic and specific health services to rural and peri-urban populations. For this article, the focus will be on RTD and SFA as they relate to accessibility and cost per patient. Innovations in medical technology, vehicle design, and mobile satellite Internet now have the potential to bring any clinic to any patient. State-of-the-art facilities on wheels,combined with Broadband connectivity, can connect the rural patient to urban hospitals via satellite. Doctors, specialists and patients can now be instantly linked, to provide consultation, diagnosis and treatment. 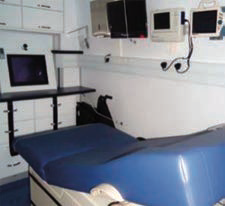 This is Africa’s first Mobile Maternity Unit (MMU) equipped with satellite communications, deployed In Nigeria by Bayelsa Hospital. The mobile clinics are focused on serving pre-natal women, but they are geared to assist throughout the entire maternity process. The MMU is designed, integrated and maintained by MST Specialized Vehicles (MSTSV), Cape Town, South Africa. MSTSV’s focus is to provide comprehensive solutions delivering healthcare, education and administrative services to members of the public. Visit their website at https://www.mstsv.net/. Bayelsa is one of 36 Nigerian States and is located at the southern tip of the country and home to more than 2.2 million people. It is the least populated region in the country but ranked 27th in geographical area. The state lies on major oil & gas deposits, and ye t despite being one of the richest states in Nigeria (GDP per capita), most locals still live in rural poverty. The initial plan was to build 2 MMU for Bayelsa State in conjunction with Bayelsa hospital. The MMU is to be fully staffed with professional doctors, nurses, midwives and volunteers who can perform pregnancy testing, immunizations, basic checkups, HIV testing, and ultrasound scans. The vehicles would contain first class medical equipment including sonar, ultrasounds, fetal heart rate monitors and could assist during live births, newborn incubation, vital monitoring, and much more. Specialists in urban hospitals would assist patients, if needed, via satellite, and provide real time diagnosis and test results. The long-term project was to expand to 72 total vehicles (two per Nigerian State) and see more than 1,000,000 peri-urban women per year, with the goal of drastically reducing maternal and infant mortality rates, while keeping the cost per patient low. The project, in conjunction with the Bayelsa government,would be funded by local oil companies as a social investment in return for their license agreements. In this case, the oil companies procure the vehicles and pay maintenance costs for the first three years. The government, universities and hospitals staff the vehicle and pay for the medical consumables. The cost of a delivered MMU is approximately $500,000. Monthly maintenance costs (staffing, medical supplies, satellite bandwidth, fuel and repairs) are estimated at $30,000 / month. Henceforth, the cost to purchase, operate and maintain one vehicle for three years is estimated at $1,600,000. Assuming 10 hour shifts, an average of 50 pre- and post-natal women can be seen per day per MMU throughout the Bayelsa State’s peri-urban and rural areas. Assuming the vehicle is on the road for 300 days per year, that would equate to 15,000 patient visits per year (45,000 over a three year period). Based on the above assumptions, a total of 72 vehicles would be able to see and treat more than 1,000,000 women per year. One reason why mobile telemedicine clinics are so attractive is because the costs to develop are a fraction of what they are to create a dedicated brick and mortar facility. Hospital building is an extraordinarily expensive endeavor; acquisition of land, construction costs, equipment and staffing can create a range in price from millions to hundreds of millions of dollars. An increased number of hospital closings17 has been seen in recent years. Cost per Bed (CpB) is a generally accepted way to estimate hospital build, and this number can be very different depending on many factors. It’s clear that there are significant variations to the cost of hospital and clinic building, depending on the country and quality of build. What is more evident is building a low-cost clinic in a rural area in a developing country is still a FAR more expensive endeavor than using mobile clinics. Telemedicine vehicles can see more patients, at a lower cost, in areas where no formal healthcare exists. Assuming a schedule of 300 days per year, and estimating that one telemedicine vehicle can see, on average, 50 patients per day, it will require 216,000 operational vehicles to reach the three billion people worldwide who have no access to medical care. Assuming the cost of $1,600,000 per vehicle and three year maintenance/support costs, the price tag to build and operate a fleet of such vehicles would be approximately $345 billion per three year period (average of $115 billion per year). To place those costs into perspective, according to a 2016 study24, global governments spent approximately $8 trillion dollars on healthcare in 2017. Creating a global telemedicine network would consume only 1.5 percent of global healthcare dollars per year. 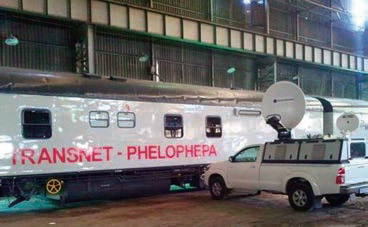 The Transnet-Phelophepa Health Care Train is a mobile clinic bringing medical care to rural South Africa. Phelophepa has 18 coaches and is equipped to provide general health, dental, eye and psychiatric care, as well as cancer screening tests, diabetes prevention and counseling sessions. The main customer of satellite equipment for telemedicine complexes is the Federal State Unitary Enterprise “All-Russian Center for Emergency Medicine Protection” under the Ministry of Health of the Russian Federation. The first application of emergency medical response complexes in the aftermath of floods has already showed the main advantages of using satellite technologies in emergency situations: rapid deployment and high quality of communication, providing unlimited remote diagnostics capabilities. Currently, the customer already has a fleet of 14 mobile systems, equipped with the iNetVuDrive-Away Antennas, which are used in almost all regions of the country. 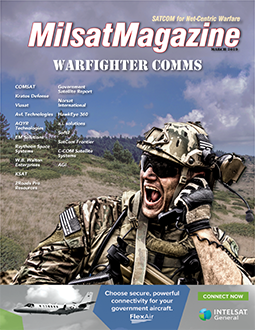 Orbital Data Net (ODN, Inc) is a VSAT network supplier that supports critical communications for States and agencies across America. 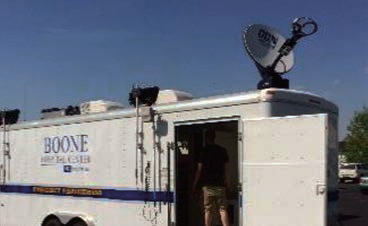 More than 20 of these ODN built medical units can be found in Missouri as well as several smaller units in Louisiana providing emergency services to the major hospitals. ODN is the provider of satellite services utilizing their novel satellite network. 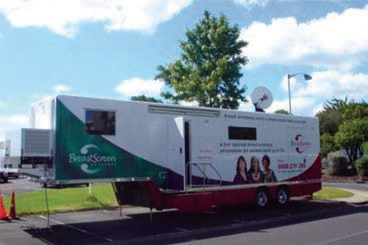 Eight Digital Mobile Breast Cancer Screening Clinics moved around the rural areas of New Zealand, and sent mammography scans back to specialists at Auckland hospital, via satellite, providing immediate results to patients. Mobile Surgical Vehicle, USA. 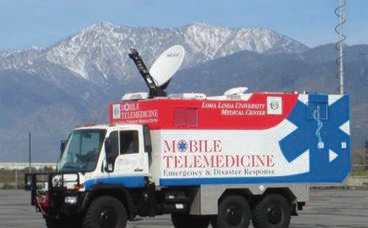 Loma Linda University Medical Center (LLUMC) provides a self-contained, four-wheel-drive vehicle with sophisticated diagnostic equipment and connected to LLUMC via satellite for teleconferencing. 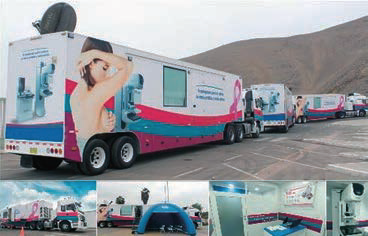 Used in Peru, these units educate and assist rural Peruvians in the early detection of prostate and breast cancers. The telemedicine vehicles make it possible to do specialized tests in remote areas, where doctors can receive and analyze results immediately, via satellite, and return a diagnosis on the same day. In many parts of the world, often in the same places where healthcare is limited, there exists no suitable communications infrastructure, which can be vital to the health of a compromised patient. Even without satellite connectivity, a mobile health clinic still offers tremendous value, providing basic medical services in locations that have limited access. 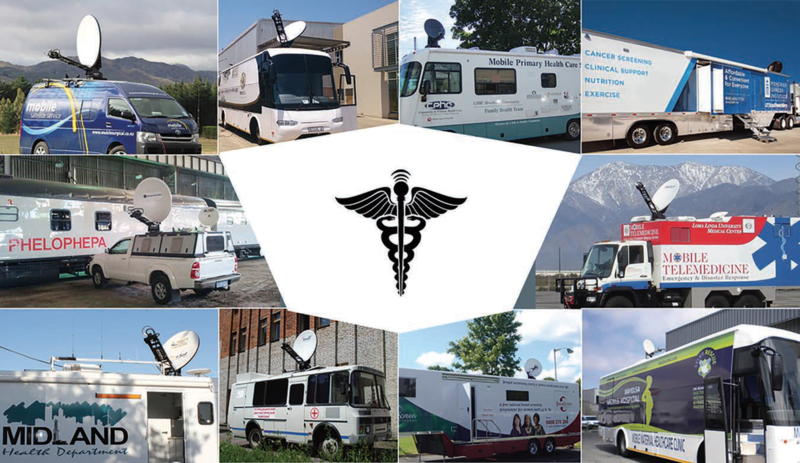 However, when a satellite connection is added to the vehicle, the mobile medical clinic becomes especially more valuable, offering immediate access to specialists, doctors, test results, and more. The satellite component often represents less than 5 percent of the total build cost of a mobile clinic. C-COM auto-pointing iNetVu® brand antennas are considered the most reliable and advanced mobile systems in the world. With the company’s one-button, auto-acquire technology, users can simply push a button on the iNetVu® controller, and it will find satellite in under two minutes, providing high-speed Internet connectivity to your vehicle or surrounding area, all without the requirement of a satellite engineer. Patients in rural locations can bridge the gap between them and a first-rate hospital, connecting with specialists that are only available in major cities. MRI, CAT, Mammography, X-ray, and other massively detailed files of significant size can be transferred effortlessly, securely, and rapidly, via satellite, to specialists hundreds of miles away, who can offer quick analysis, and provide medical advice, through video conference. C-COM has designed, manufactured, and sold more than 8,000 antenna units into more than 100 countries. The Company sells its motorized, iNetVu® auto-deploy systems through a network of more than 500 partners, who also provide service and support to the local end user. C-COM employs 30 people, is publicly traded on the Canadian Venture Exchange, and has a strong balance sheet. The company is also developing the next generation of mobile antennas: flat panel, electronically steerable, modular, conforming, and working while in motion, with the latest satellite constellations, in various orbits. 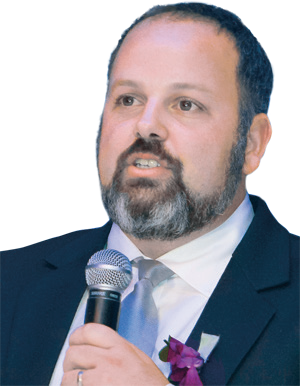 This will be of significant value to future ambulances and telemedicine vehicles, offering a low cost and high-speed solution that can be used while the vehicles are in motion. With bandwidth prices falling, and with companies such as C-COM developing smaller and more affordable solutions that offer broadband capabilities, it makes sense to equip all moving vehicles with solutions that afford connectivity anywhere, anytime. For more than 20 years, C-COM has offered products which are extremely consistent, both in terms of quality and manufacturing repeatability. The iNetVu® line of products are easily field serviceable, often able to be fixed in minutes with just a few tools. The company also offers world class technical support, working with its partners to ensure an end-to-end solution that provides the final customer with a seamless Broadband experience. 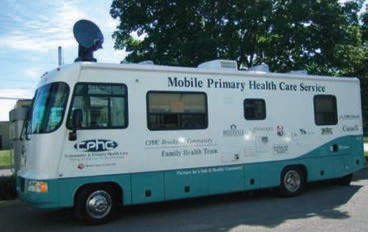 The potential to build tens, even hundreds of thousands of mobile health clinics is quite real. In 2018, more than three billion people have no access to medical care, and with 46 percent of the world living in rural areas, there exists a significant opportunity in the growing mobile health market. Hospitals continue to close and the expense to build and maintain them isn’t sufficient to serve the needs of the global community. The humanitarian and economic evidence is clear. It should be evident: a telemedicine vehicle cannot replace a hospital. A telemedicine vehicle is intended as a substitute for a fully functional, brick and mortar clinic, able to bring first-rate medical care to the rural public. A suitably equipped telemedicine vehicle can finally connect a patient with a specialist that they would never have a chance to see, either because of distance to a high-quality hospital, or because of their urgent health status. A simple vaccine, antibiotic, or routine checkup is often all that is needed to change a life. A Global Telemedicine Vehicle Network is the most cost effective and efficient way to solve this problem.